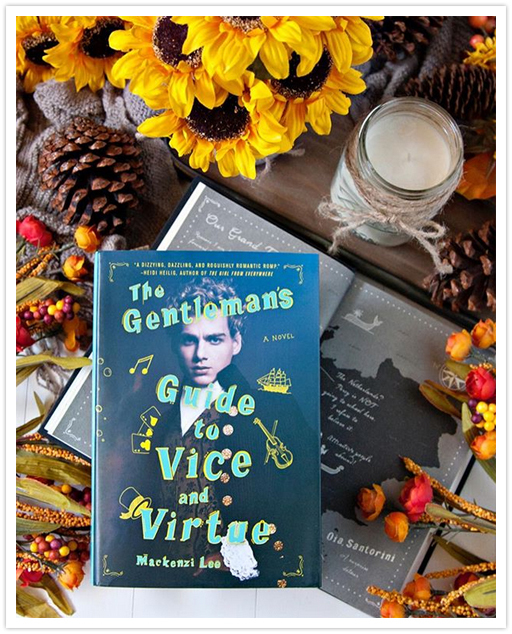 I originally read The Gentleman’s Guide to Vice and Virtue by Mackenzi Lee back when it was first set to release, and for some reason forgot to review the book for my blog. With the book’s sequel, The Lady’s Guide to Petticoats and Piracy coming out soon, (October! ), I thought it would the perfect time to re-read the book to refresh my brain before starting the sequel. I have to say, I think I enjoyed this book even more the second time than I did the first time I read it! Let’s first talk about the characters in the book. The main character in the story is Henry “Monty” Montague, who was born a gentleman, but is a rogue by nature. If I had to describe Henry in one word, the first word that comes to mind is ‘rascal’. Reading the story from his point of view was interesting, to say the least, and I found myself laughing out loud and rolling my eyes at all the things he, his best friend, Percy, and his sister, Felicity, go through throughout the book. You couldn’t help but love them all, and I can’t wait to see what’s in store for them in the next book. The storyline for this book was definitely fast-paced, and full of action. Just when I thought Monty and his crew couldn’t get into any more trouble, they did, and I literally flew through the pages to see what was going to happen to them next. I also really enjoyed the setting for the book. The idea of traveling Europe is awesome, and I really enjoyed the descriptions of it throughout the book. I also want to add that I opted to listen to the audiobook for my second read of this book, and it was absolutely fantastic! I had to stop just a few chapters into the book to look up the narrator, because he was doing such a wonderful job with the story, and I wanted to know who was reading the story. Imagine my surprise when I discovered that this book is narrated by Christian Coulson, who happens to be the actor who played Tom Riddle in the Harry Potter and the Chamber of Secrets movie. Seriously, he did an excellent job narrating this story, and if you have the opportunity to check the book out in audiobook format, I highly recommend you do so! 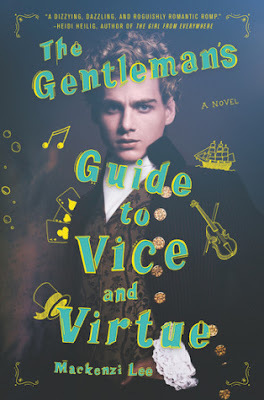 Overall; The Gentleman’s Guide to Vice and Virtue has it all... An awesome, diverse cast, a fast-paced and addictive storyline, and a main character who lands himself into more trouble than you’d think would be possible. This was a very enjoyable read, and I can’t wait to get started on the second book, The Lady’s Guide to Petticoats and Piracy, which is all about Felicity and her dreams of becoming a doctor. I’m super excited to get started on it! If you’re looking for a fun series, do check out the Montague Siblings series by Mackenzi Lee! !